Recently we’ve seen a resurgence in classic titles being revisited, this comes as a welcome addition to the modern gaming roster. These titles hark back to a simpler age where tutorials were unnecessary, simply press start, learn the buttons and you’re good to go. These titles now being brought bang up to date with modern visuals and gameplay design. We'll be looking more at this emergence of HD remasters in a feature later in the year. One of those titles is an HD remaster from one of my all-time favourite racing series; Wipeout. Not only an iconic brand, but a franchise which defined the style, appearance and approach of the Playstation in the 90’s. So, it was with great excitement to learn that Wipeout Omega was to be released on the Playstation 4, and far sooner than originally expected. I quizzed the developer John McLaughin, Senior Producer at Sony XDEV a few months before release to find out more about what was in store and why certain design decisions had been made in the process. 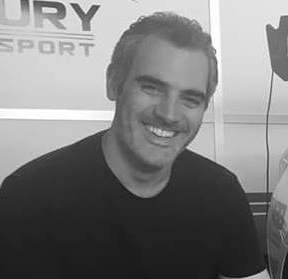 Hi John, tell us a bit about your background, how did you get into games development and get involved with the Wipeout franchise, what is your role on the project? JMC: I’m a Senior Producer at Sony XDev. I joined Sony way back before PS1 launched in 1995 as a QA tester. I worked myself up through the ranks and ended up working at XDev with Evolution Studios on all of the WRC games and then Motorstorm, so I guess you can say racing games are in my blood. In terms of my role on WipEout Omega Collection, I actually came up with the idea to remaster the game for PS4. I got one of our teams to look into the code to give me an estimate on how long it would take and just over a year later; here we are with an awesome game! Wipeout was visually stunning on the PS3, what new details and effects has the power of PS4 enabled? And to clarify, what is ‘dynamic 4K’? JMC: And it still is stunning on PS3. For PS4, we have been able to take advantage of the power and memory bandwidth of the console to rework all textures in the game, to ensure they stood up to the test for 4K displays. We reworked particles and all of the 2D menu assets so they all look much cleaner and crisper. As well as a host of improved graphical effects, we have also added in HDR which massively improves contrast to what was seen before. In terms of 4K display, WipEout Omega Collection offers two options. With Motion Blur on, you get a 2160 checkerboard resolution. With Motion Blur off, you get a native 4K display. The choice is up to the player, but I personally play with Motion Blur off – WipEout is fast enough without it! Alongside the visuals, we also revisited the sound effects, to bring them up to modern standards, and all music was extensively remixed into 7.1 surround sound. What additional performance options does the PS4 Pro include over the base model? JMC: Both consoles offer players an immersive, unique gaming experience but the main difference on PS4 Pro is the resolution boost. 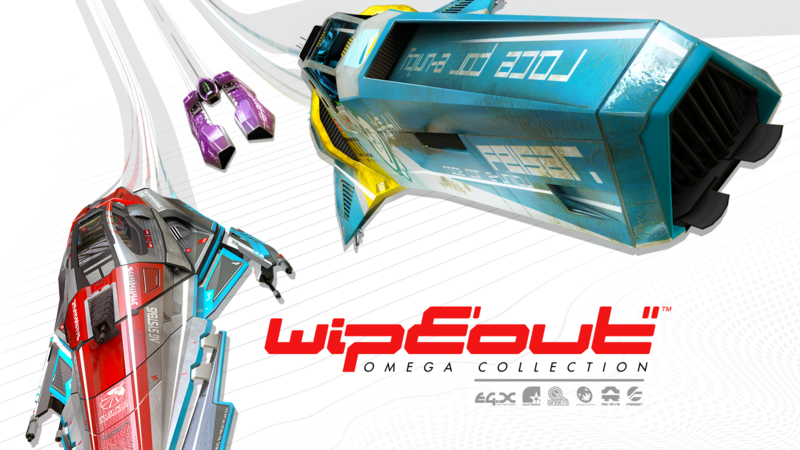 Wipeout Omega features content from Wipeout HD, Fury and 2048. What was the core decision maker in deciding which previous version of the series to include? On hearing this would be a remaster, a lot of Wipeout fans were looking forward to seeing updated versions of the PS1 originals, why do you think these were overlooked in this version? JMC: We explored all options, but on this occasion and in the timeframe available, decided to remaster the most recent content. 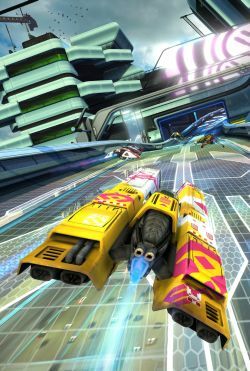 In terms of handling, each Wipeout is subtly different, this looks to follow the PS3 version, have there been any changes? JMC: If it ain’t broke – don’t fix it! All joking aside, one of the key components of WipEout is the handling model. 2048 is slightly different from HD/Fury and the track design reflects this. We really didn’t want to change the handling as it was one of the things so well received originally and is what further differentiates it from other anti-gravity racers. You could say 2048 now handles even better due to the frame rate jump from 30 to 60FPS. What are the key new features in this addition you are most excited about? JMC: As a bit of a graphics guy, I love how much the reworked ships and tracks now stand out. They still feel fresh on PS4 despite their roots being from some time ago. We also worked very, very hard on designing the 2 new ships for the game, Tigron and Van Uber. They come back really as a homage to the core WipEout fan base, and I hope they enjoy them; we put a lot of effort and thought into them. Tell us a bit about the new online multiplayer, how many competitors can feature in a race lobby? What kind of racing stats are featured? JMC: We re-wrote the online portion, but we wanted to keep much of the same feature set from PS3. We also took the Vita version and moulded that into the PS3 style too. You can have 8 racers in a race, but you can choose between single races, tournaments, Eliminator, Zone and so on. You can tweak all the options, like weapons or barrel rolls, and essentially customise the races how you want, making it a totally personal experience that suits your play style. 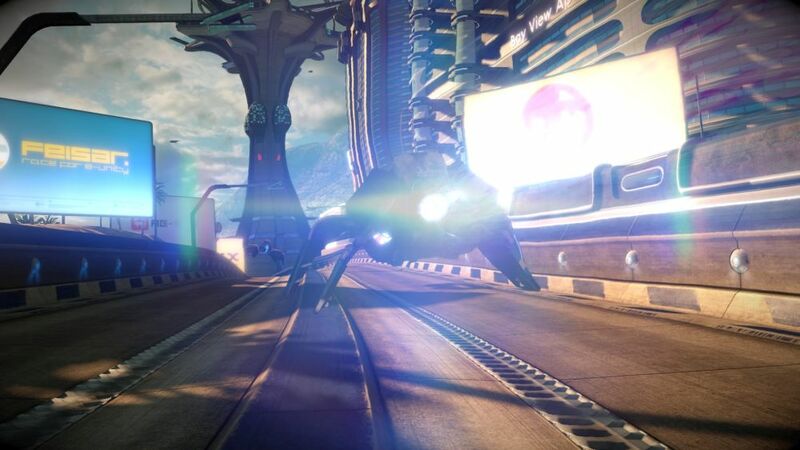 We have also added in a “pure racing” mode at the request of the WipEout community. What this does is basically remove energy depletion from barrel rolls whilst turning off ship to ship collision. This will ensure only the best racer will win – no ship bumping to give you an advantage! It was great to see the inclusion of local multiplayer, this is an option so many modern games fail to include and in the trailer the visual fidelity looks good. How was this accomplished and it is possible to play split screen online? JMC: HD and HD Fury actually already had split screen for PS3, however, on PS4 and PS4 Pro we now have a much higher frame rate. It’s at 60FPS and this really makes a big difference. The big challenge was getting 2048 into split screen mode, as this was not a feature from its previous home on PS Vita. Split screen is not available when playing online. Music has always been a big part of the Wipeout franchise, what are your favourites from Omega’s playlist? JMC: Choosing the music for WipEout Omega Collection was tough! We wanted music that felt like it was part of WipEout, at the same time as feeling fresh and current. We chose the track list very carefully, from a shortlist of hundreds, with assistance from our music team playing the songs over the PS3 game. For me, I’m very proud that the track list features an all new Chemical Brothers track, whilst the inclusion of artists as massive as Swedish House Mafia is also another highlight. Having the Deadmau5 remixes, Dillon Francis plus Wipeout stalwarts Noisia feature, tops off the soundtrack for me. We also have a bunch of new artists that have some killer tunes and I hope they gain a new generation of PlayStation fans from this game. I had a lot of fun on the photomode of Wipeout HD/Fury, will those options return in Omega? JMC: Photo mode does indeed return, and for me shows off those reworked textures the best! You can actually read the tiny writing on all of the ships now. So, an interesting insight into the development process. I for one am looking forward revisiting one of my favourite franchises and exploring the innovative approach of Wipeout 2048. We’ll have an interview and gameplay impressions coming up on the channel very soon and you can purchase Wipeout Omega in stores and on PSN now.